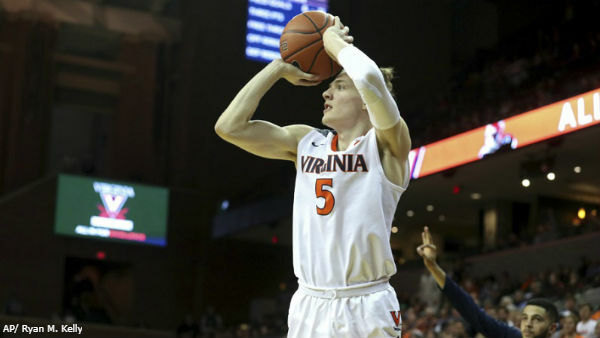 The Syracuse Orange and the Baylor Bears came out in an NBA-Jam style fashion in the first half, with both squads making more than half of the three-point attempts they took in the first 20 minutes of play. 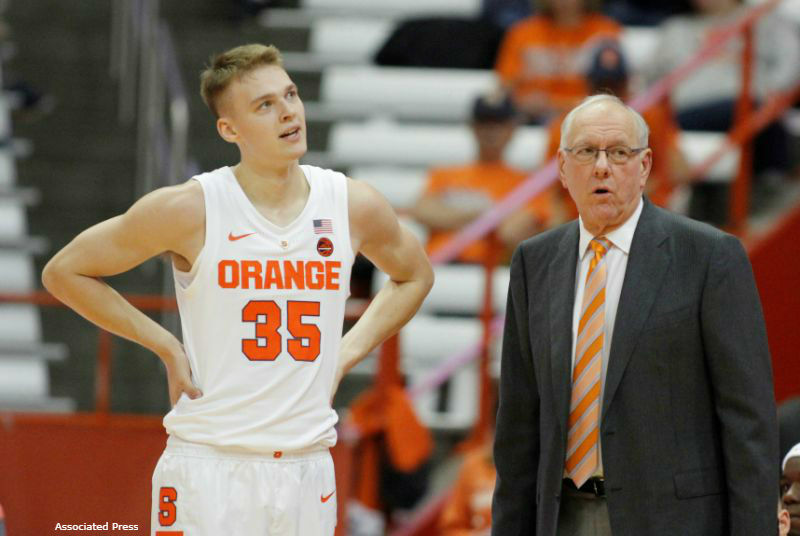 On "Senior Night", the Syracuse Orange came into the Dome with a 5-6 all-time record against the visiting Virginia Cavaliers. 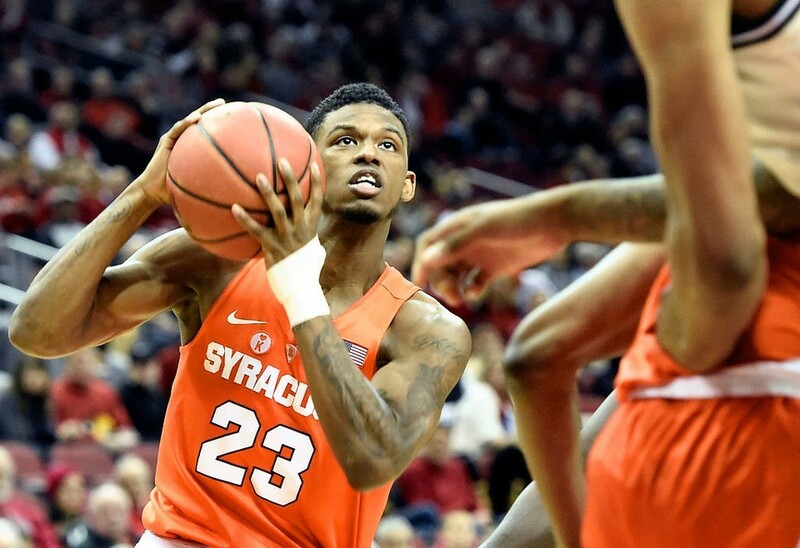 The Syracuse Orange opened the doors to the Louisville Cardinals for the first time ever with Chris Mack on the Louisville sidelines, Mack coming to the Cardinals from the Xavier Musketeers. 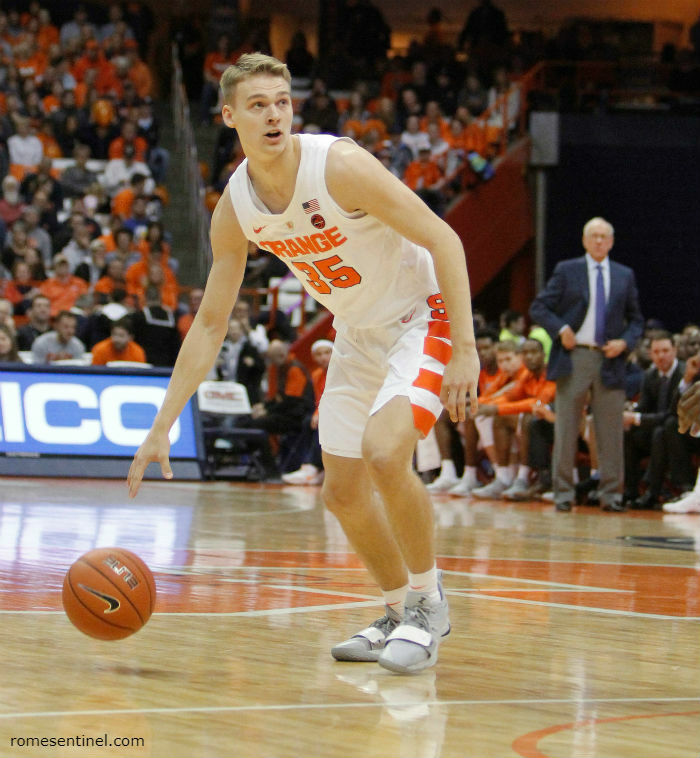 In their 75th meeting all-time, the Syracuse Orange and Boston College Eagles started out slow. 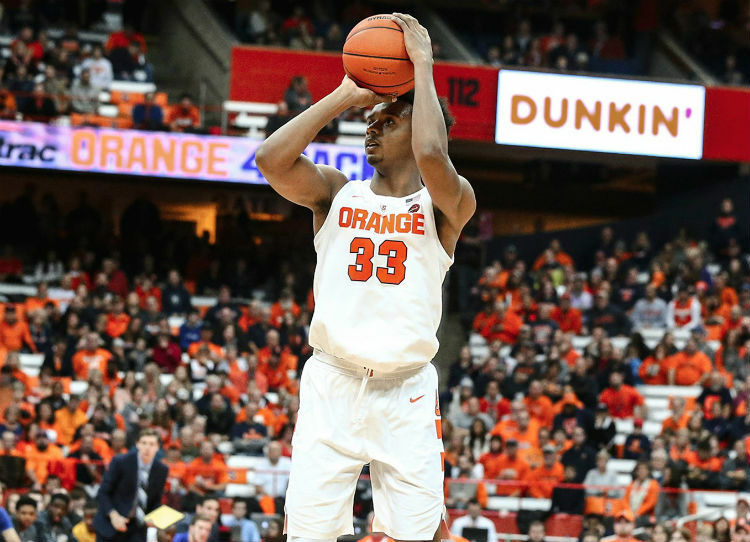 After two made free throws following Sidibe's first foul just 18 seconds into the game, the score was 4-3 Orange. 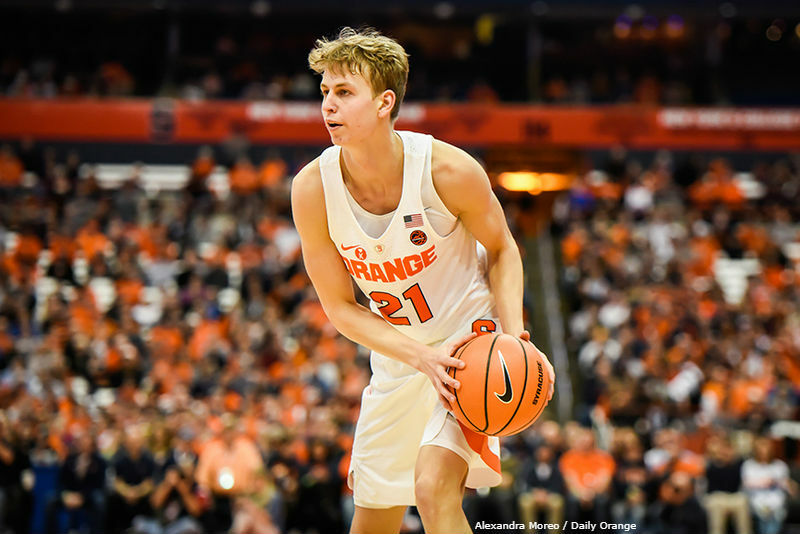 The Syracuse Orange hosted the 22nd-ranked Florida State Seminoles inside the Carrier Dome coming off of a 2-1 stint on the road, with wins over the Boston College Eagles and Pittsburgh Panthers. 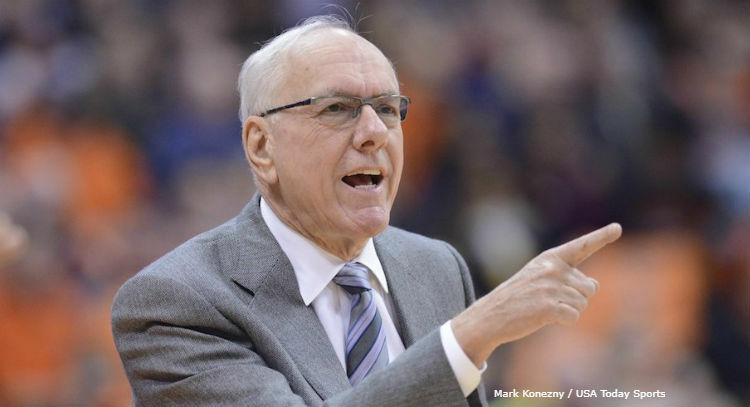 Syracuse tied Miami three times in the first half, the third coming at the 6:34 mark off of a three by true freshman shooting guard Buddy Boeheim. 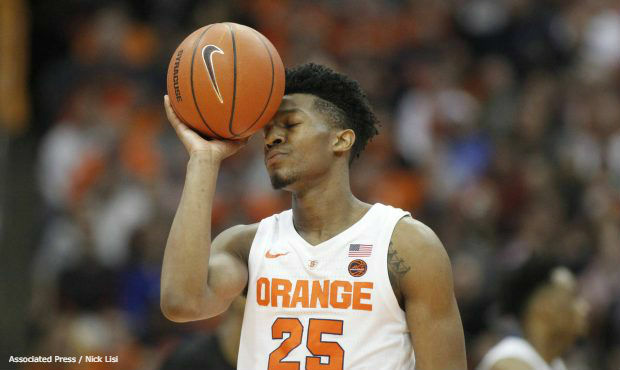 The Syracuse Orange opened the Dome to a match-up with longtime rival, the Pittsburgh Panthers, coming in with a record of 68-45 against them. 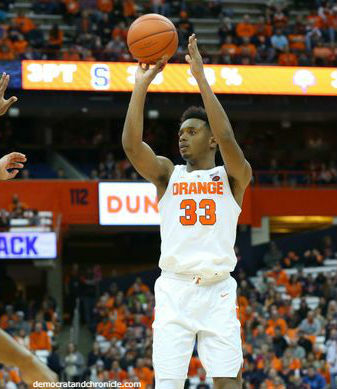 The scoring began with Syracuse junior shooting guard Tyus Battle's jumper from the left side to give the Orange the first lead of the game, 2-0.